Listen here to questions asked about Gaius Marius on WLCR AM 1040 Forum starting from 18 mins in. You'll be £25.00 closer to your next £10.00 credit when you purchase Gaius Marius. What's this? Gaius Marius was one of the most remarkable and significant figures of the late Roman Republic. At a time when power tended to be restricted to a clique of influential families, he rose from relatively humble origins to attain the top office of consul. He even went on to hold the post an unprecedented seven times. His political career flourished but was primarily built on military success. First serving in the Numantine War in Spain, he later rose to high command and brought a long-running war in North Africa to a successful conclusion, bringing the Numidian King Jurgurtha back in chains. His return was timely as northern barbarian tribes threatened Italy and had previously defeated several Roman armies. Marius reformed and retrained the Republic's forces and decisively defeated the invaders that had easily overpowered his predecessors. Marius'subsequent career was primarily that of an elder statesman, but it was dominated by his rivalry with his erstwhile subordinate, Sulla, which ultimately led to the latter's bloody coup. Marius, once hailed as the saviour of Rome, eventually became a desperate fugitive, literally fleeing for his life from his pursuers. However, after several harrowing brushes with death, Marius seized an opportunity to return to Rome and mete out justice to his enemies, which tarnished his once-enviable reputation. 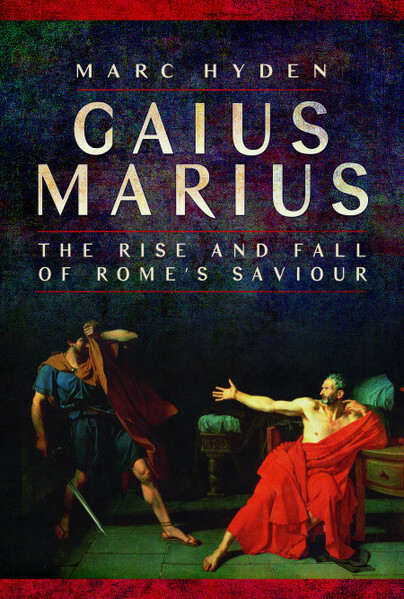 Marc Hyden has given us the best extant account of Gaius Marius’ leading role in the history of late Roman Republic. It is required reading for those interested in the period and highly recommended for the general reader. I was very impressed with Hyden’s attention to detail. He has done a wonderful job in putting this topic to words. Through his words, the reader is able to visualize a lot of the content within, although a few images would have also helped. Aside from the maps at the beginning of the book, the book contains no additional photographs. Regardless, this was an excellent book depicting an excellent historical figure. I highly recommend it. Marc Hyden is a professional lobbyist and media spokesman. He has a long-standing fascination with ancient Rome and has had numerous articles published on various aspects of its history.